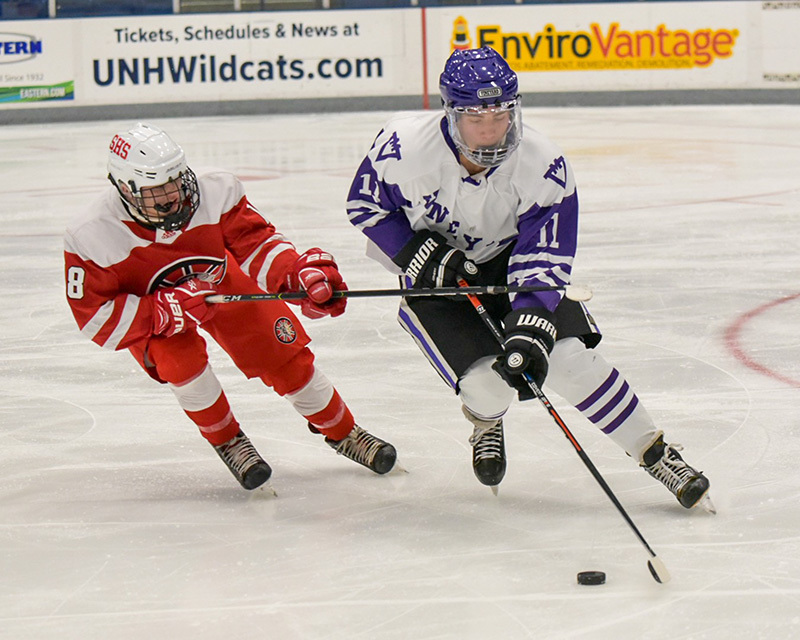 The MVRHS boys hockey team played three games in three days, Dec. 27-29, at the Whittemore Center on the campus of the University of New Hampshire in Durham and skated to two wins before dropping the finale. The Vineyarders started off with a convincing 7-1 win over Spaulding, N.H. on Thursday night. 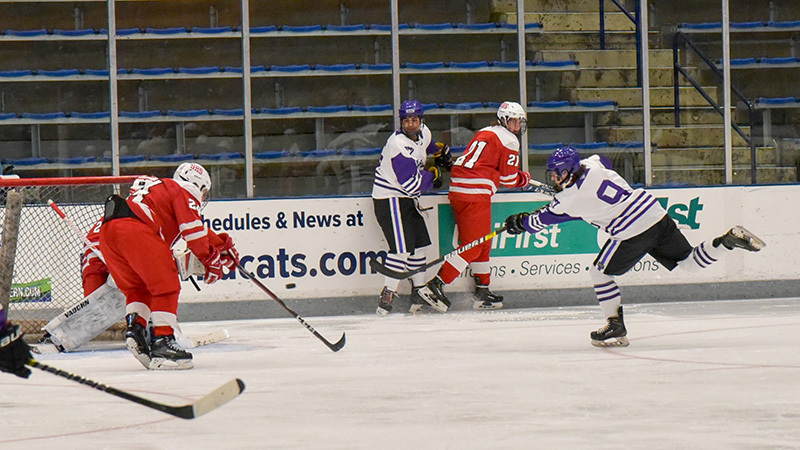 The line of Colin Henke (one goal, two assists), Hunter Meader (one goal, two assists), and Mike Wallace (one assist) racked up seven points to pace the MV attack. Sophomore Elias Gundersen scored his first goal and Graham Stearns earned his first varsity win in net. Colby Zarba took Player of the Game honors for his disciplined puck-handling. 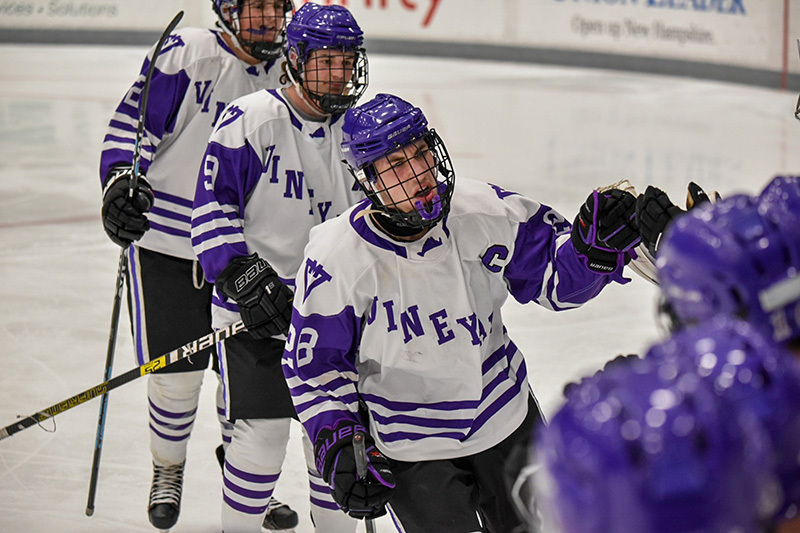 Friday night, the Vineyarders rallied from a 2-0 first-period deficit and scored five unanswered goals to beat York, Maine, 5-3. Senior captain Ian Trance tallied twice with one assist, Colby Zarba and Jake Scott had a goal and an assist apiece, Peter Gillis scored once, and Hunter Meader chalked up three assists. Kenny Hatt and Player of the Game Logan Araujo each had one assist. The Vineyarders took to the ice again on Saturday morning and couldn’t quite get up to speed in a 3-2 loss to host Oyster River High School. 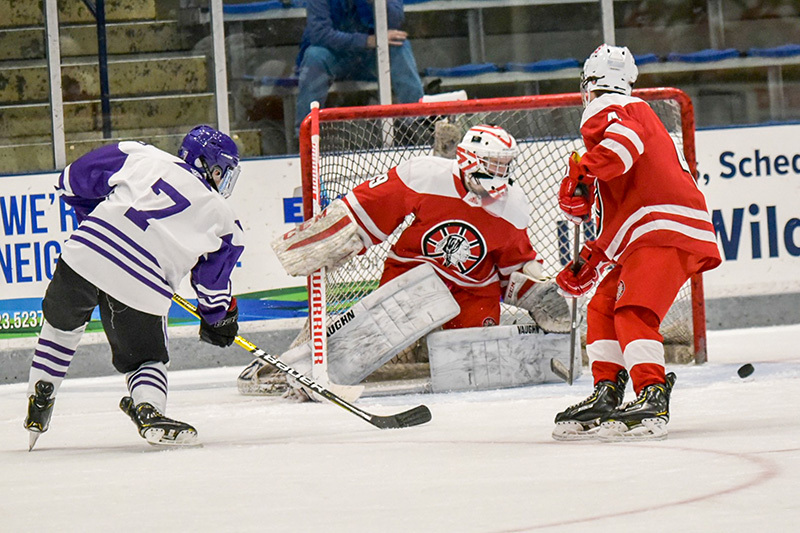 Hunter Meader had a goal and an assist and Colin Henke scored the other Vineyard goal, while goalie Mike Metcalf stopped 33 saves in a solid effort between the pipes. MV (3-2-1) hosts island rival Nantucket on Saturday at 1 pm.